Seasoned Cook Food Workshops are for home cooks to get in the kitchen and make darn good food together. These workshops are founded on the idea that every person has the power to transform good ingredients into healthy, comforting dishes. 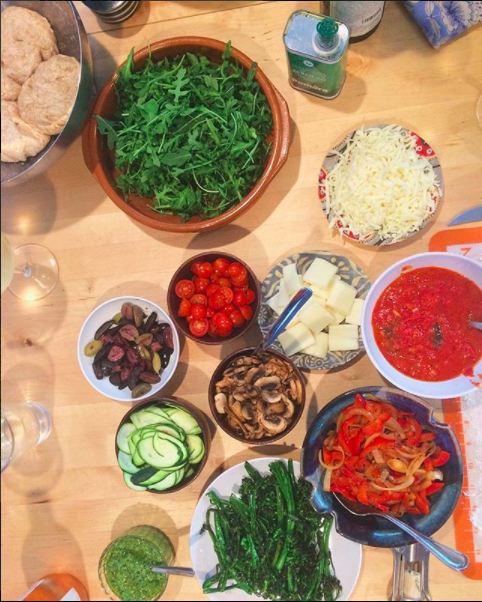 A successful workshop means happy bellies, new friends, and a confidence in the recipes & techniques you learned to create it again. Perhaps, with your own spin! Hands on time in the kitchen - that means chopping veggies, kneading dough, seasoning with spices, you name it - to craft the dishes you came to create. Feast together - because a communal meal is what it's all about. Things to take - You'll leave with a recipe booklet, watercolor fridge magnet, and any leftover food to-go! Email me at megancbarrie@gmail.com to reserve a spot! OK OK we all love tacos. But how many times have you made them from masa to mouth? With my friends Alexa & Evan, we'll learn to make tortillas, salsas, and all the fixings that go inside. 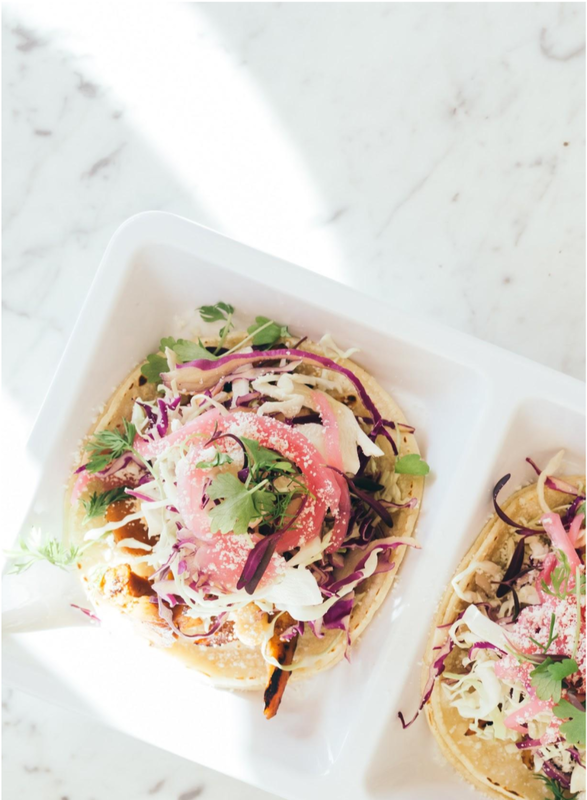 We'll have both meat and vegetarian/vegan options so you can build your ultimate tacos. Class includes take home recipes, watercolor magnet, all food, and a seasonal appetizer when you arrive. 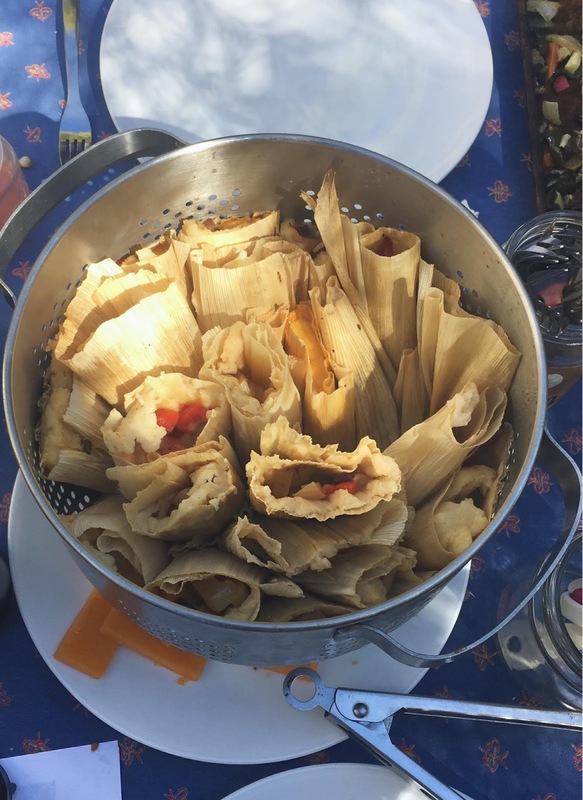 Let's make the most of this season's tomatoes, peppers, and squash for summer tamales from scratch. We'll mix masa, stuff corn husks, and steam, pairing tamales with fresh summer salsas (mild and hot!) Plus, we'll make our own flavor-packed beans, a quick Spanish rice, and pair it all with a refreshing and simple agua fresca. Who doesn't love eating with their hands? These dishes are no-fail, crowd-pleasing appetizers when, combined, make up an incredible Mediterranean meal. 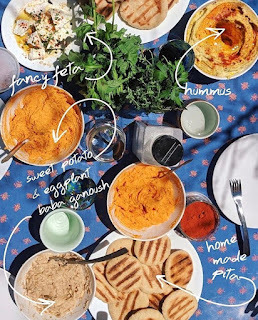 We'll be making flavor-packed hummus, roasted babaganoush two ways, homemade flatbread, tzatziki, and tabbouleh. 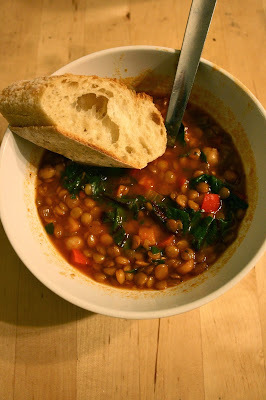 We'll make a hearty warming soup for the soul with all the veggies we'll wash and chop with our superb knife skills, understand what basic seasonings to have in the kitchen to flavor foods the way you like em. Don't forget about soup's favorite friend, bread! We'll make a homemade focaccia that'll be easy to repeat and impress at home. Class includes take home recipes, watercolor fridge magnet, all food, and a signature appetizer when you arrive. *Note: I never want cost to be the reason someone can't attend. If you need support, no sweat! Email me at megancbarrie@gmail.com and I'll reserve a seat. 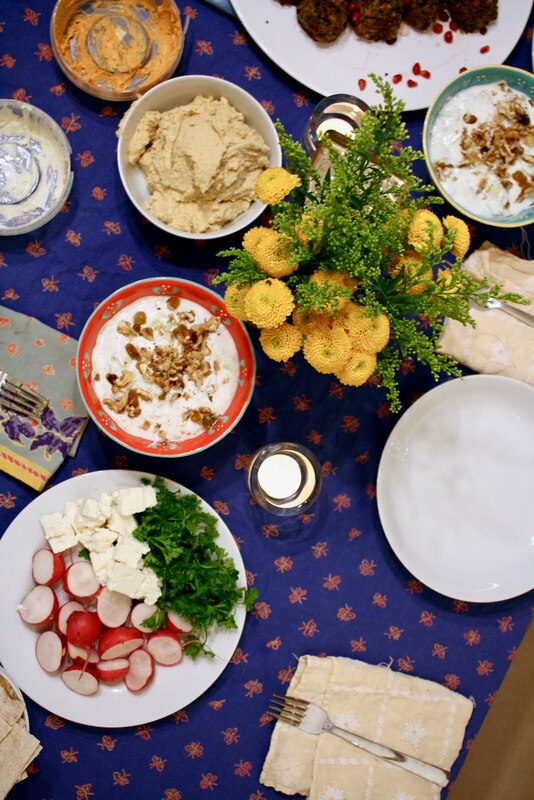 Want to knock the socks off your friends and roommates with an Indian feast? We'll learn the ins and outs of making dishes like homemade roti, aloo gobi, daal, raita, and chana masala. From making our own dough to frying spices for curries, we'll keep our bellies nice and warm with our Indian-inspired dishes. Class includes take home recipes, watercolor fridge magnet, all food, and an appetizer when you arrive. 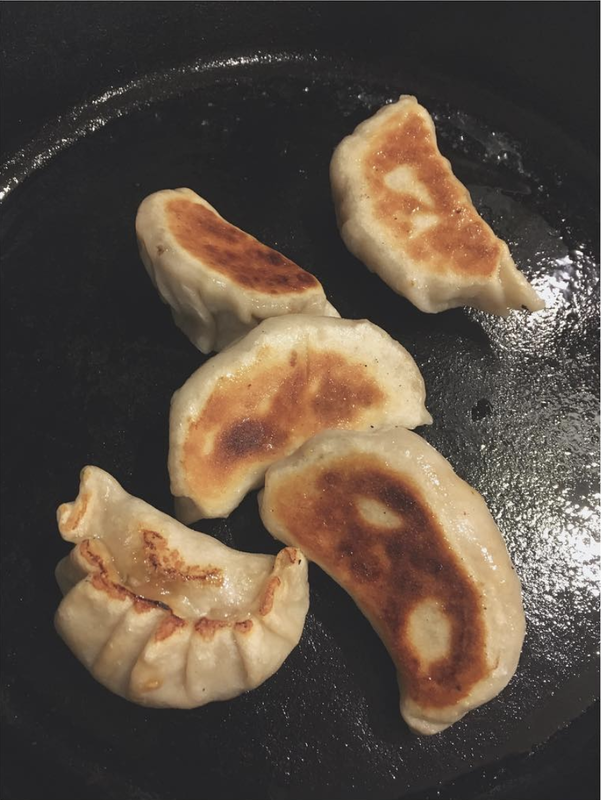 Grandma may have taught us to make dumplings. That doesn't mean we remember how. Or make them enough. Let's have a dumpling party where we chop, season, fill, and fold to our hearts' content. 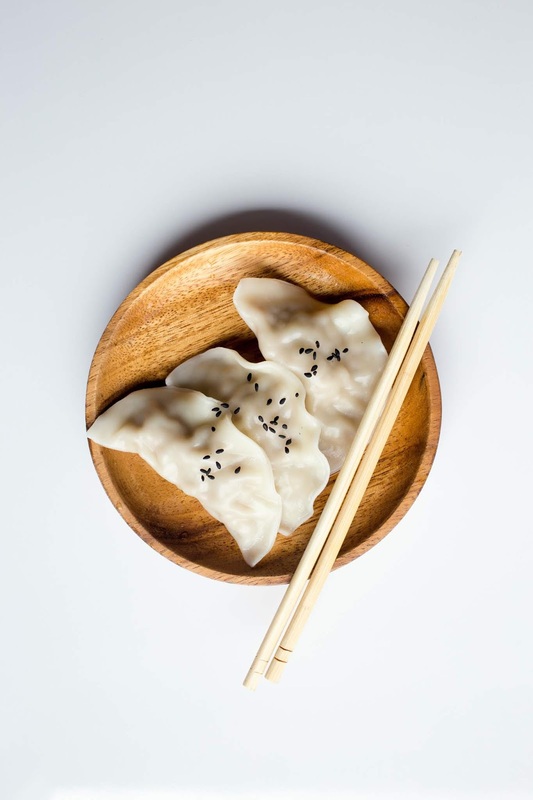 We'll make skins from scratch for two types of dumplings, a handful of dipping sauces, garlicky crisp greens, and rice. Class includes take home recipe cards, watercolor fridge magnet, all food, and a signature drink and appetizer when you arrive. Grandma may have taught us to make dumplings. That doesn't mean we remember how. Or make them enough. Let's have a dumpling party where we chop, sauté, fill, and fold to our hearts' content. We'll make two types of dumplings, a trio of dipping sauces, crunchy greens, and rice. Yes, we'll (re)learn how to make jasmine rice too! Class includes take home recipe cards, watercolor fridge magnet, all food, and a signature drink and appetizer when you arrive. Forget ordering a pizza. Join an intimate group of cooks for a hands-on workshop where we'll learn the basics of making the classic 'za - with our own twist. We'll make yeasted dough that forms a crisp chewy crust, zesty tomato sauce, a delicate homemade ricotta, and a zingy salad to keep things balanced. Added bonus: this workshop will teach you the foundations to a variety of dishes that you can whip up at home. Can't wait to toss dough around with you. Who doesn't love eating with their hands? These dishes are no-fail, crowd-pleasing appetizers when, combined, make up an incredible Mediterranean meal. Join an intimate group of cooks for a fun-filled workshop making flavor-packed hummus, roasted babaganoush, homemade flatbread, tzatziki, tabbouleh, and falafel. You'll leave with a full belly and plenty of great dishes that you can recreate at home that mix and match with an assortment of meals.